How can I become an OYO Wizard member? Where do I see my membership details? What is Wizard ‘Base’ hotel? How do I select my Wizard Base? Can I change my Wizard Base? Can I avail 10% discount for every booking at my Wizard Base? How many times can I use my membership card to avail discount at OYO Wizard Member Hotels? Validity of OYO Wizard membership is 6 months for Blue members, 12 months for Silver members and 24 months for Gold members from the date of purchase. You may avail discount across all Wizard Member Hotels unlimited number of times during the validity period, i.e. True Infinity! I just became a new OYO Wizard member. Can I avail the discount benefits on my current booking? I got some OYO money after becoming a Wizard Member. How long will this OYO money be valid? I got Rs.500 OYO money after becoming a Wizard Member. When can I start using this OYO money for my bookings? I am already a Wizard member. Do I have to buy membership again? I am an existing Wizard member who has been upgraded to Wizard Blue. Will the validity of my membership change? Can I upgrade my membership after purchasing Blue/Silver membership? Can I downgrade my membership for a refund? 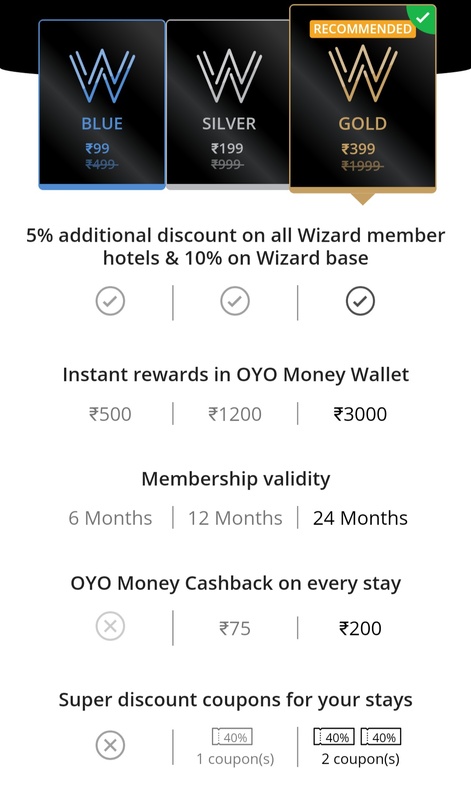 What are the Wizard exclusive benefits and exciting deals that I would get as an OYO Wizard member? When do I get my OYO money check in reward? When do I get my 40% off coupon code? How long will my 40% off coupon code be valid? Will my Silver coupon be valid if I upgrade to Gold? Can I cancel/get refund for my membership? Yesterday bought this Membership but didn’t got Complimentary vouchers. Only got two 40% off coupons. Called customer care they said they are not aware of this Offer ( Totally Shocked by Customer Care Behavior) – Talked to Senior CC , Shae also said same and asked to mail a complaint against it. Bro tell me on thing what is diffrence in blue silver & gold becoz off is same on all three membership yhat is 5% only diffrence of oyo money. and 40% coupon which you are saying i dnt thinks so its worth it becoz oyo by default gives 50% off pre applied coupon and additionally wecan apply 60% also someother codes. so what is the use of that 40% off code. & Complimentary voucher are given when you checked in every time. I too don’t why they are providing 40% coupons…When some 50-60 coupons are available but currently no such coupons available for checkin after Jan 12. 1. The customer will get 80% off + Rs.75 off on OYO Wizard Gold Membership. 2. Valid at OYO website & app. (a) 5% additional discount on all Wizard member hotels & 10% on Wizard base. (b) The membership is valid for 24 months. © Instant rewards in OYO Money account worth Rs.3000 which is valid for 6 months. (d) OYO money cashback on every stay worth Rs.200. 5. This offer is not applicable for existing OYO Wizard members. 6. 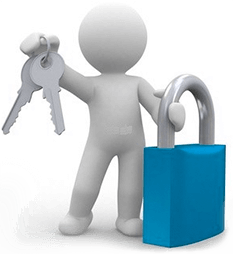 OYO Wizard membership is non-transferable and non-refundable. 7. OYO reserves the right to cancel/alter the terms of this offer at any time.